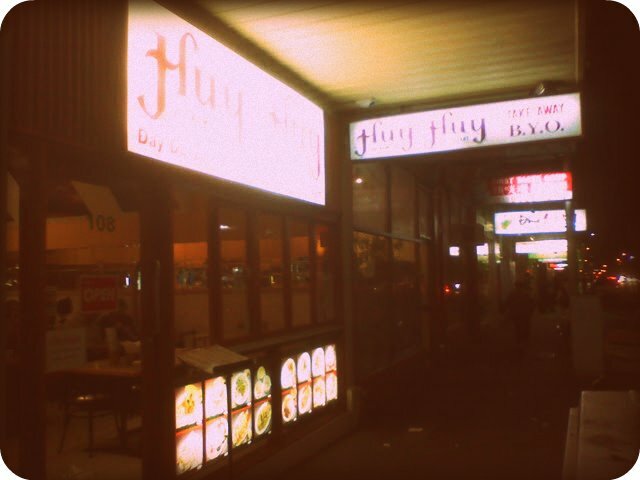 Back to Footscray and time to try Huy Huy, which we hadn't visited before. 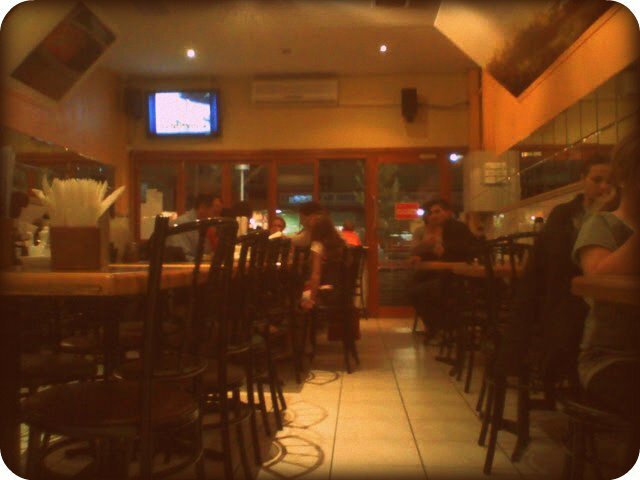 It seems half way between the old school style of Vietnamese restaurant and the modern new look, there are mirrors, but also modern furniture and some nice prints. 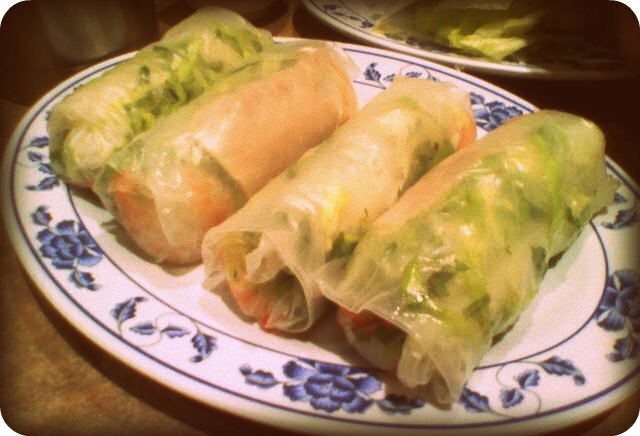 I got the prawn and pork rice paper rolls, although I'm sure I asked for just prawn. They were good anyhow, nice prawn and plenty of fresh herb flavours. 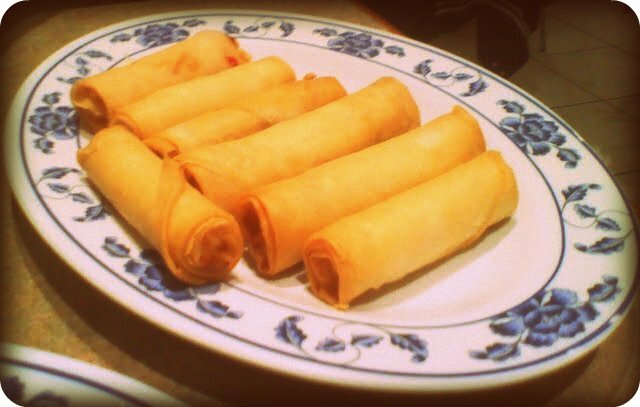 The spring rolls were ordered by the hungover one, and swiftly disappeared, probably a good sign. 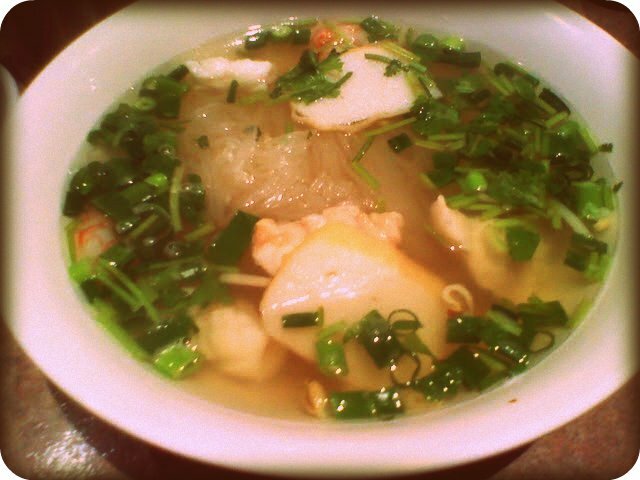 The rice noodle soup with seafood was a slight variation from my normal pho ga, it wasn't bad, but the seafood was a bit sparse. The broth was OK and the noodles reasonable. 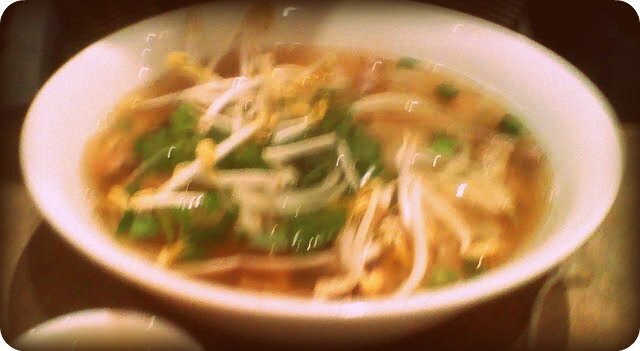 The Pho Ga was a bit of a disappointment apparently, bland broth, overcooked gluggy noodles and odd bits and pieces of chicken. 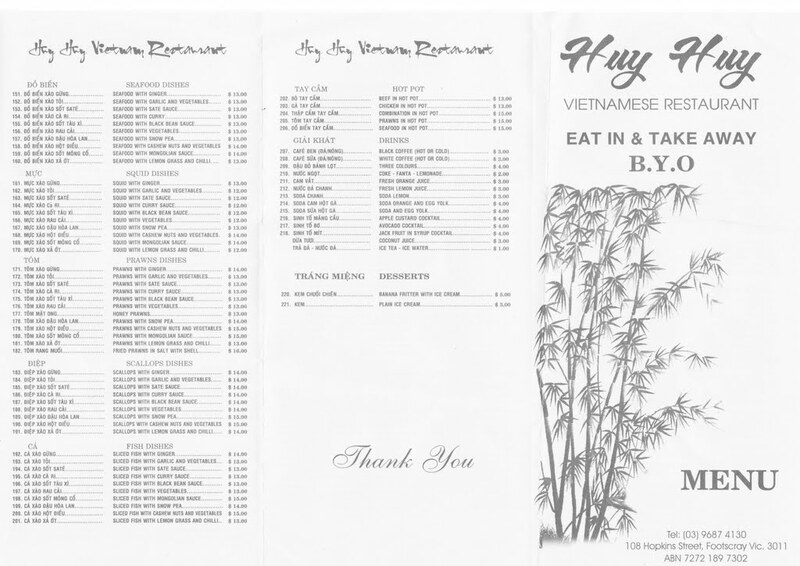 The service was prompt and friendly. 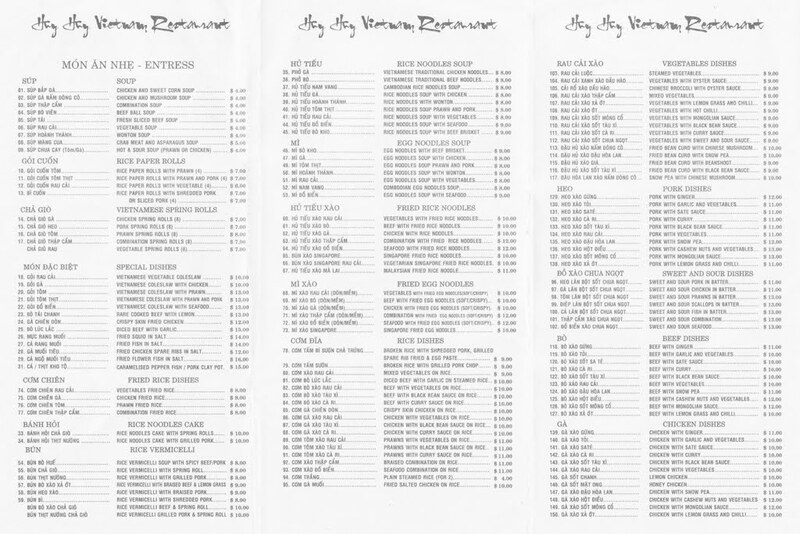 Few other diners had gone for soup options, and there were plenty of dishes on the menu... Our bill was a bargain $31.